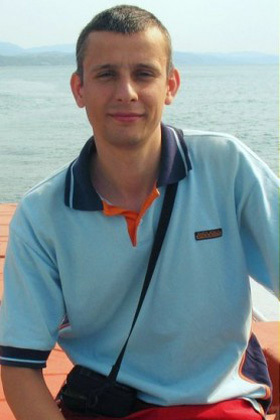 Vyacheslav lived in Kyiv, worked as a journalist for “Vesti” newspaper. On January 19 had his eye severely injured by a grenade explosion at Hrushevsky street. On February 18, he resumed working after a long-term treatment. He was caught at the crossroads of Velyka Zhytomyrska and Volodymyrska streets in Kyiv by unknown people when he was going home by taxi. Vyacheslav was heavily beaten and shot in his chest. He died at the emergency care hospital. Vyacheslav was survived by his wife and a 4-year old son. Was buried at Lisove cemetery in Kyiv.